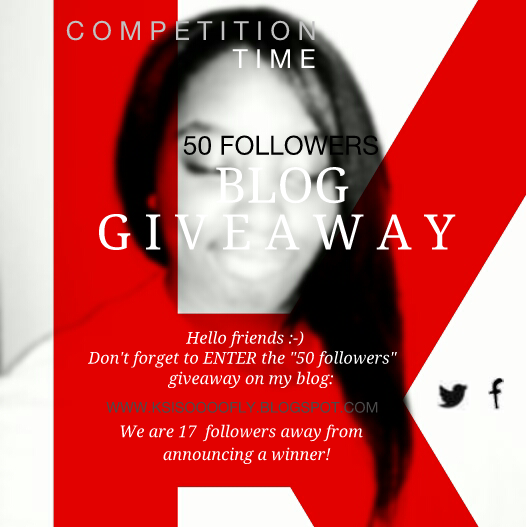 Just a reminder, especially for the new readers to let you know the "50 FOLLOWERS giveaway" is still LIVE!! So if you've followed my blog all you have to do is click this link and comment below with your name and Bob's your uncle. :-) Good Luck! P.s. THERE WILL BE 2 WINNERS.